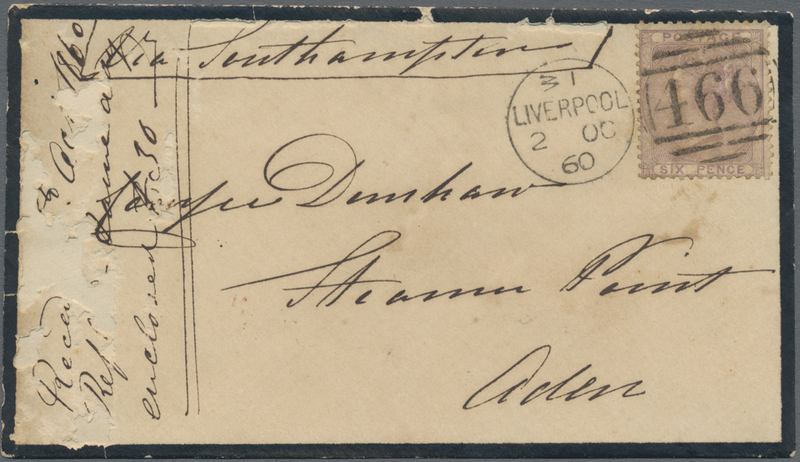 1860, incoming mourning cover from Liverpool 2.10.60, franked with 6d. 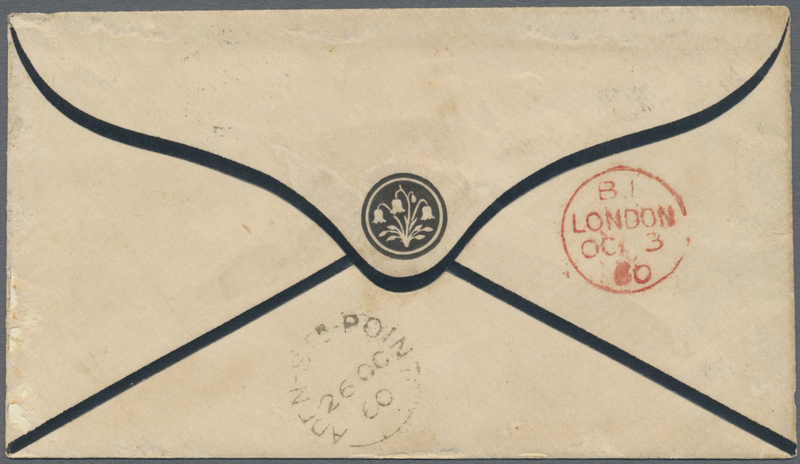 pale lilac and addressed to "Steamer Point Aden", backstamped "LONDON 3.10." and Aden receiver 26.10., envelope some faults.